Let peace and contentment flow over you as you channel your inner artist with A Coloring Book Based on A Course in Miracles. Embark on a spiritual journey with original artwork by renowned artist Andrea Smith. Each page is filled with whimsical cherubs, indigenous beauties, and magical landscapes that, while paired with insightful lessons from the original A Course in Miracles, draw you into a serene meditation as you color. The universal teachings of love and harmony that have been inspiring readers for over fifty years are perfectly paired with Andrea s artistic message of world peace, a message she has been spreading through her artwork since the early 1980s. While the original lessons have basis in traditional Christianity, Andrea s drawings express a nonsecular, nondenominational mysticism that appeals to any person who is on a soul searcher s journey. So pick out your colored pencils or markers, and enjoy the voyage. Let peace and contentment flow over you as you channel your inner artist with A Coloring Book Based on A Course in Miracles. Embark on a spiritual journey with original artwork by renowned artist Andrea Smith. 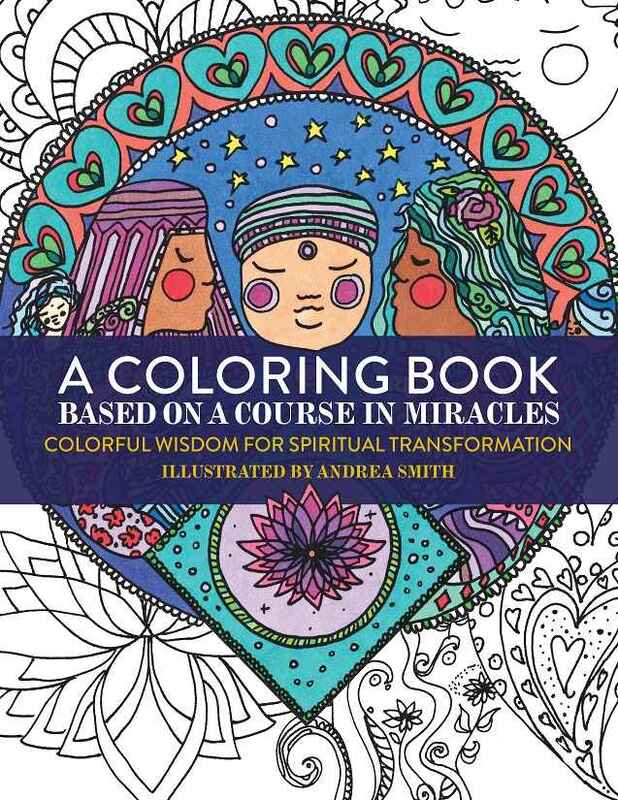 Each page is filled with whimsical cherubs, indigenous beauties, and magical landscapes that, while paired with insightful lessons from the original A Course in Miracles, draw you into a serene meditation as you color. The universal teachings of love and harmony that have been inspiring readers for over fifty years are perfectly paired with Andrea s artistic message of world peace, a message she has been spreading through her artwork since the early 1980s. While the original lessons have basis in traditional Christianity, Andrea s drawings express a nonsecular, nondenominational mysticism that appeals to any person who is on a soul searcher s journey. So pick out your colored pencils or markers, and enjoy the voyage.